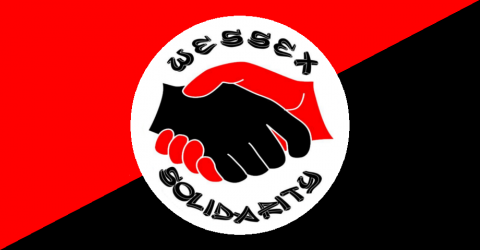 We Support the Uprising in Baltimore – Workers Solidarity Alliance. This is a war that will not end. It is only growing more deadly. In 2013 767 people were killed by police (64 a month, most of the them African Americans); in 2014 1101 people were killed by police (92 a month, most of them African Americans); in the 4 months of 2015 380 people have so far been killed police, (95 a month, most of them African Americans). The militarization of the police has had a predictable outcome: the police are now behaving like the military would in their policing function. The rules of martial law are now (unofficially) in effect and anyone who violates those laws is The Enemy; the “insurgents”; the “terrorists” etc. and subject to summary execution. If by chance that person happens to be a Black Man, so much the better. The role of the police, their true role, has always been to protect the property of the Master Class from any defilement by rebel slaves. Now, thanks to the grassroots organizing of the Black Lives Matter movement, people have risen up and are fighting back as best they can. In Baltimore the people are taking the fight to the oppressors. We can only hope this flame spreads like wildfire, and that the murderous police forces feel the heat in Philadelphia, New York, Memphis and Los Angeles, and all the other places they have decided to engage in ethnic cleansing. In America, the capitalist system was founded on slavery and white supremacy. The only way to end the insanity of white supremacy is to end the American capitalist system. We need to build a new society, one based on true egalitarianism, where everyone, EVERY ONE, is actually and finally equal forever.